O. Cyrus & the Bardo is a sixteen-panel poem set in the landscape and vocalic space of Northern Appalachia. Written for a register of 12 voices, the text drifts through a series of formal constraints and innovative poetic tactics while it explores the social and domestic worlds of two families: the first engorged in a stasis of food and television, the second disintegrating within the lush confines of its lost wealth. 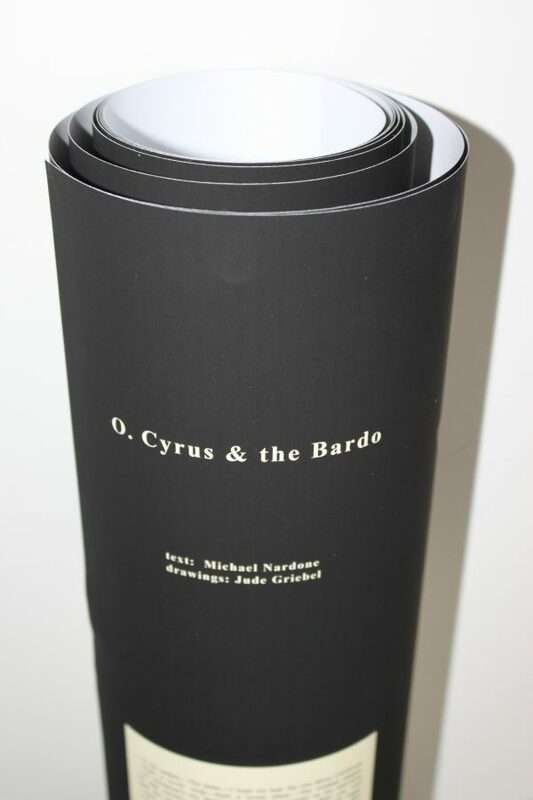 Materials: O. Cyrus & the Bardo is a 15″ x 94″ print on acid-free matte paper featuring the original poem by Michael Nardone and original drawing by Jude Griebel composed in response to the text. 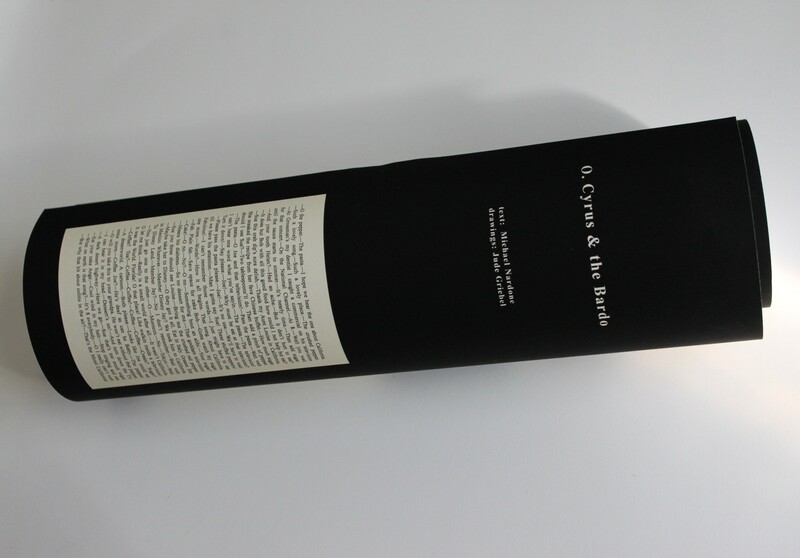 The print is rolled as a scroll, wrapped in protective glassine paper, and housed in a specially constructed cardboard tube that features a reproduction of Griebel’s artwork on its outer surface.